Brice currently works at Supercell in Finland... yep, the studio behind that highly addictive game Clash of Clans! Brice is known for his super clean sculpts. He has sculpted a few of Randy's designs in the past and did an outstanding job. So I saw it fitting to have him judge this month's contest. Thanks, Brice! Here's a link to his ever-so-impressive ArtStation. 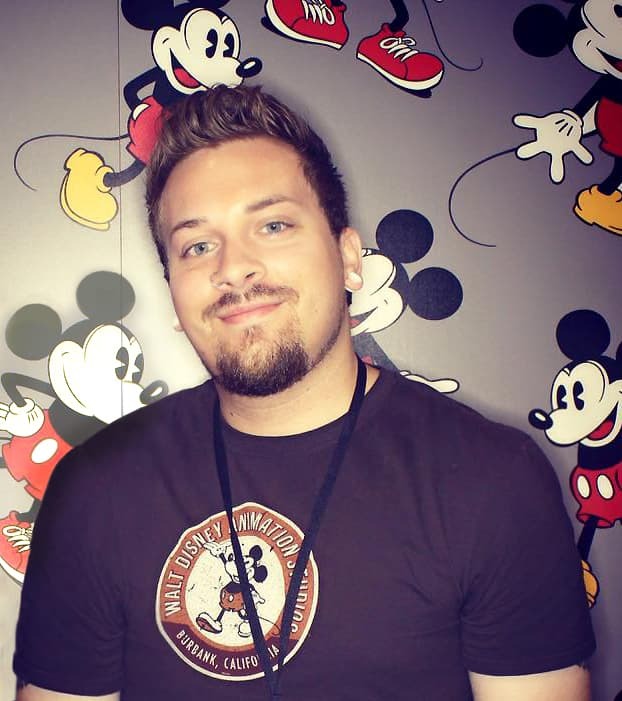 Judge #2 is Disney Feature Look-Dev Artist Tyler Bolyard! 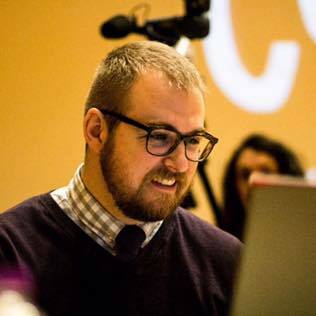 Tyler has worked on several Disney films such as Zootopia, Moana, and Wreck-it-Ralph 2. He has an impressive portfolio, and I've always been a huge fan of his work. Check out his ArtStation right here. So good! Thanks for your time Tyler! 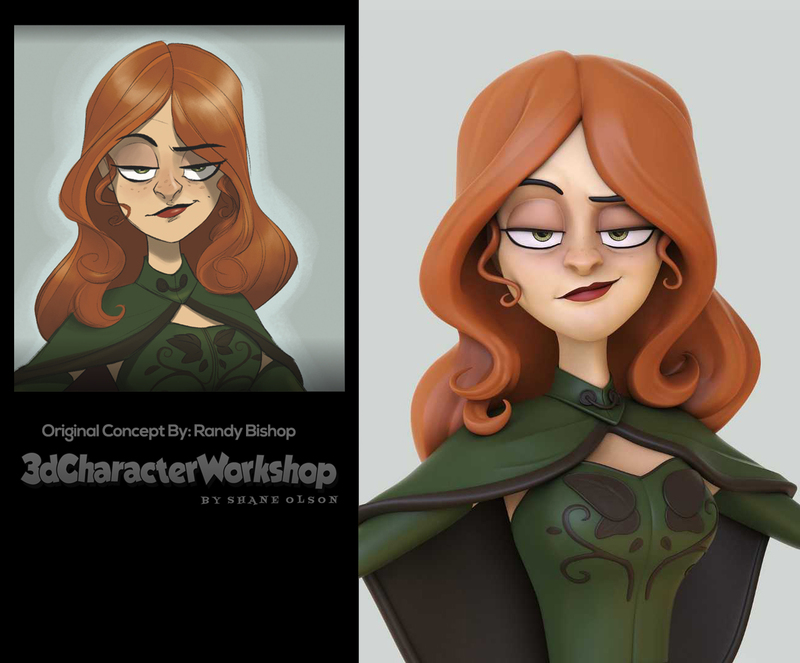 Judge #3 is Blizzard Character Artist, Leslie Van den Broeck! Leslie is always producing new characters and winning character contests! He has a wonderful style and a wicked sense of humor! 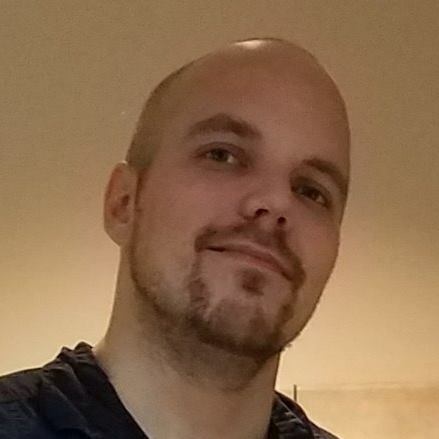 He's an import from Belgium and has been working at Blizzard for the past few years on Heroes of the Storm. 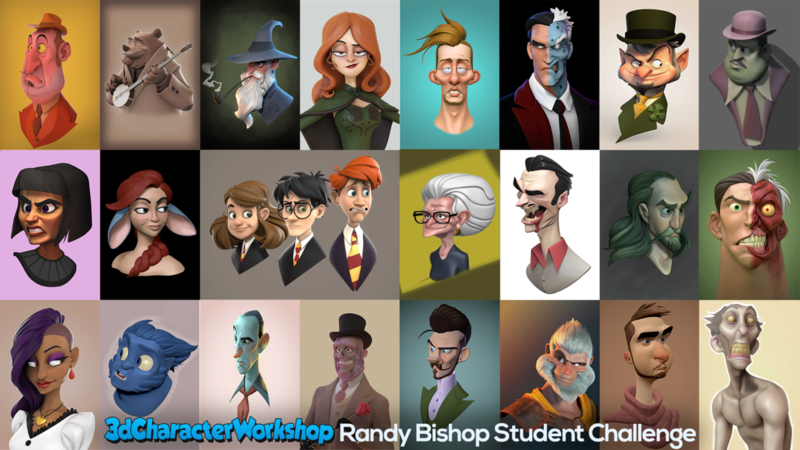 You can find his awesome array of characters on his ArtStation. Thanks, Leslie! Judge #4 is Senior Modeler Sook Yeon Joanne Lee from BlueSky! 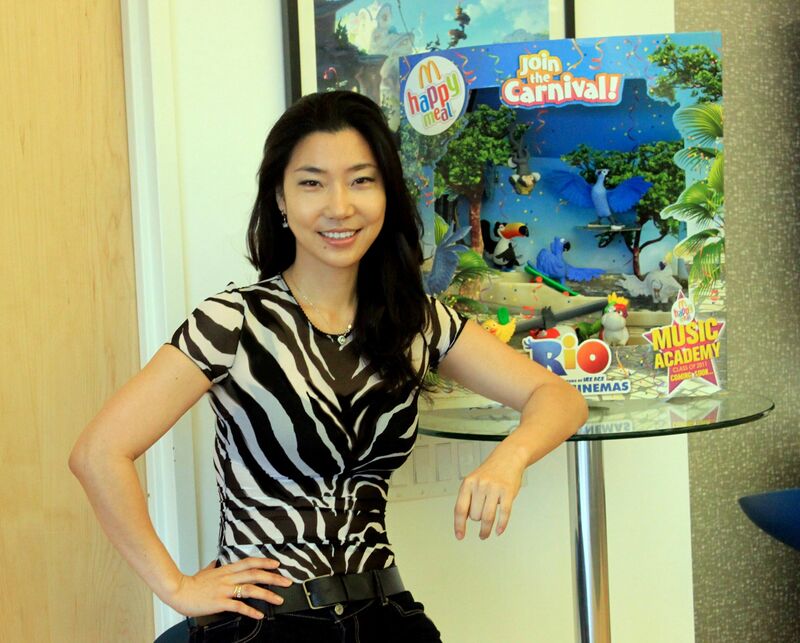 Sook Yeon is a wonderfully skilled Senior Character Modeler that has work on tons of films for BlueSky Studios including Ice Age, Peanuts, Rio 2, Horton Hears a Who, and Ferdinand. Thank you so much for offering your expertise Sook Yeon! Judge #5 is no other than Randy Bishop himself!! I've been a huge fan of Randy's work for years. 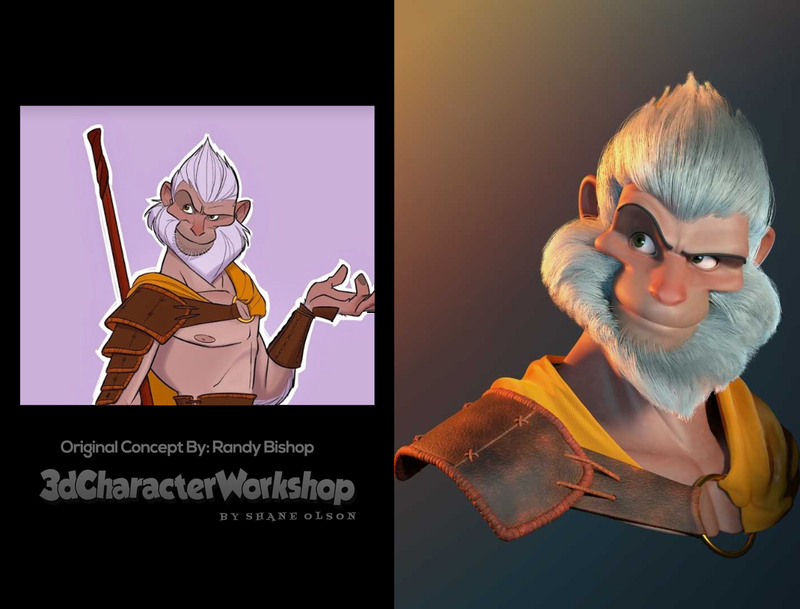 His character concepts are very well designed and very nice to model because of Randy's keen sense of volume! Thank you for allowing the students to model your impeccable designs, and thank you for offering up your time to judge! So I asked each of the judges to choose their top six favorites, and tell me why they chose that image, and maybe offer up a bit of constructive criticism. Then I weighted each choice with a number (1-6), and added them all together for the results.... and here they are from third to first. The winners get one-on-one coaching time with me to ask anything they want. Sook Yeon "Awesome Job! I really liked this design and this modeling really catches the appeal of the character. 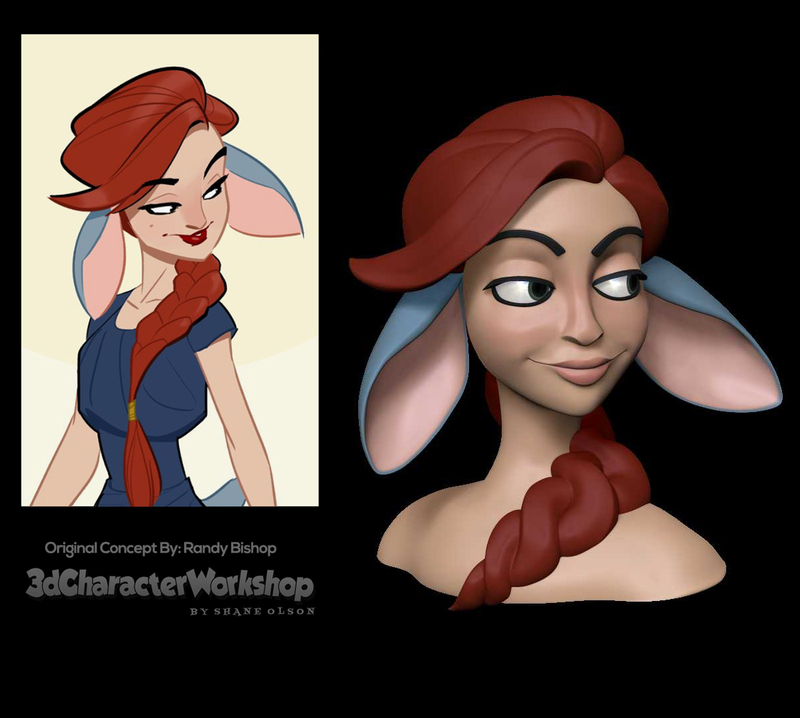 You've hit the design language overall, just keep an eye on the ear detail and the plane changes around the eye and nasolabial fold as it feels a too smoothed out." Leslie "Silhouette, shapes and expression are translated really well. some of the inner planes could have used more attention like the hairline, double chin, bottom lip angularity and inner ear details." Brice "I would love to see clearer and stronger edges. 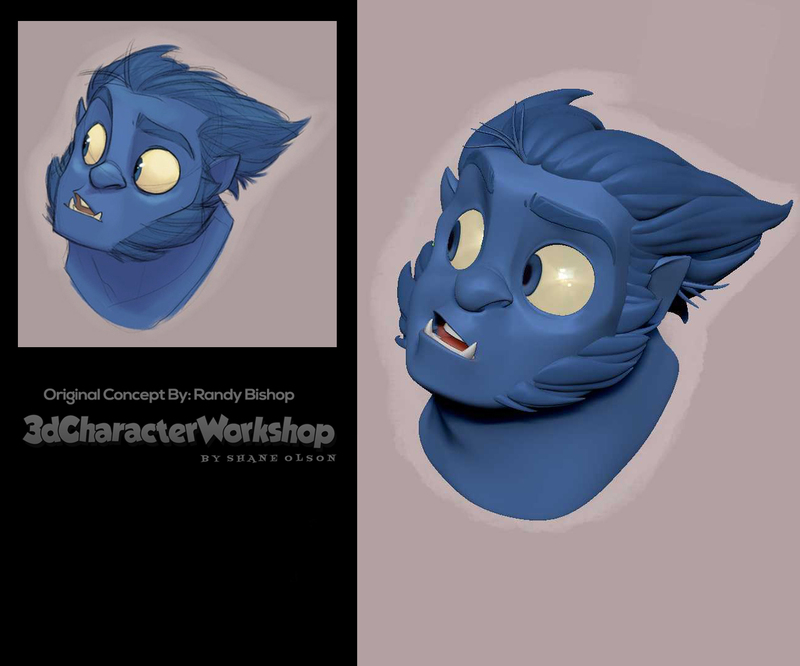 Talking about the characters expression, we understand clearly that the chin is going into the neck. 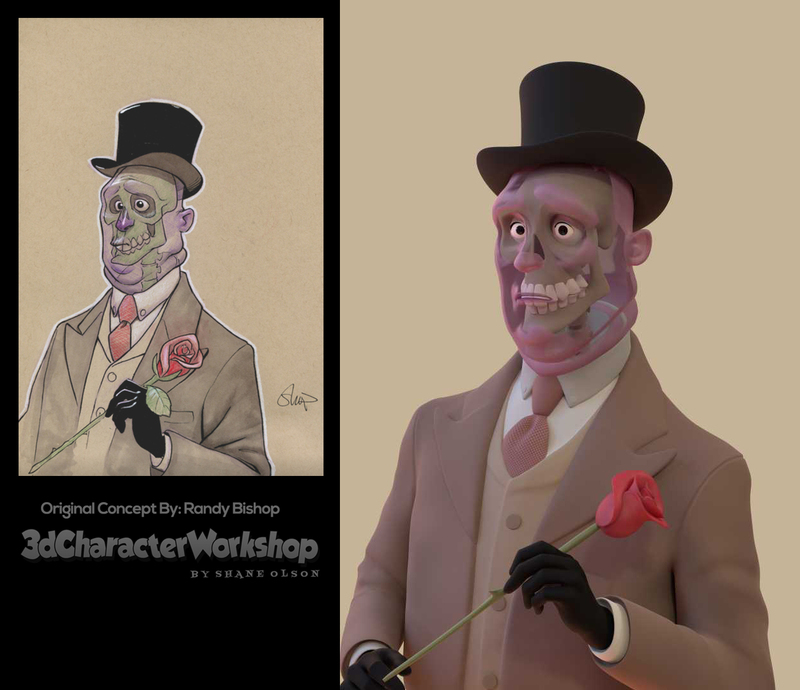 It's a big part of the expression and we understand it well on the 2D concept because of the skin wrinkles on the neck. You didn't forget to Sculpt them but they are a bit shy. Not sure the viewer will get it. " 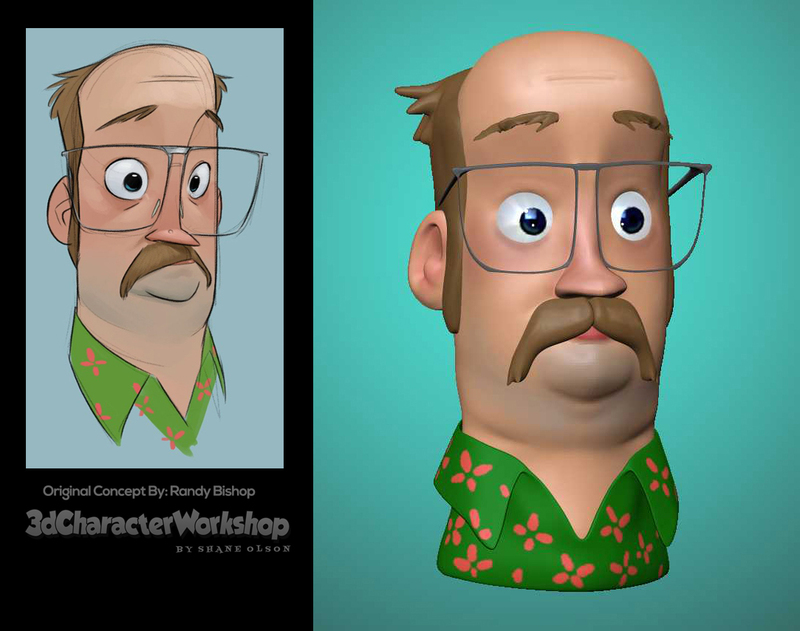 Randy "This model did an excellent job of capturing all of the forms that were suggested in the original concept. 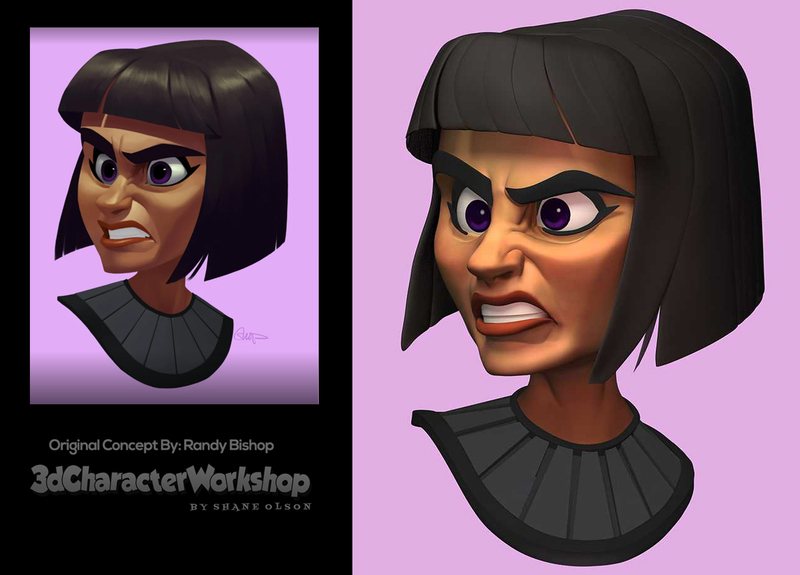 The hair is phenomenal and the structure of the planes in the face are really well handled." Leslie "Best execution of sculpt and presentation. Fully captures the feel of the original"
Brice "Really good choice of concept. It's poetic and delicate. The model could be more sophisticated and sharper in some areas, but the overall looks good. " 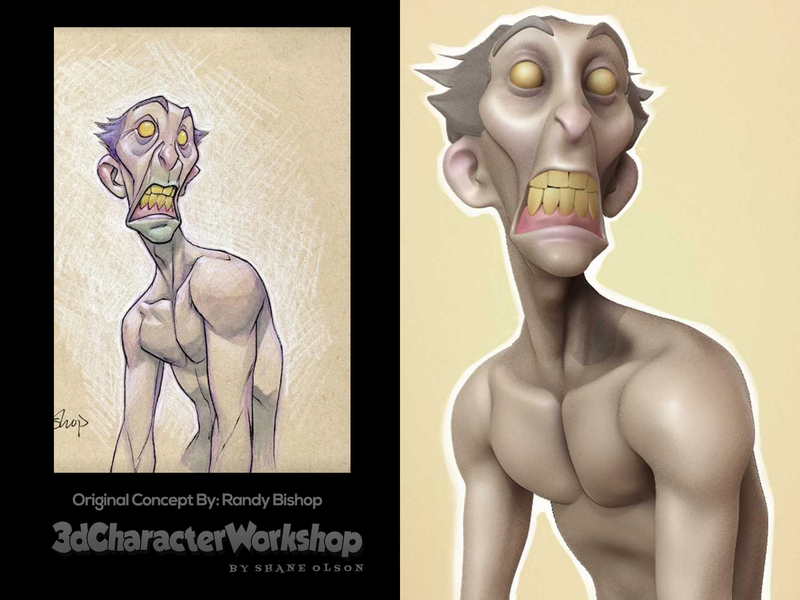 Randy "This model does a really good job of capturing the essence of the original drawing. 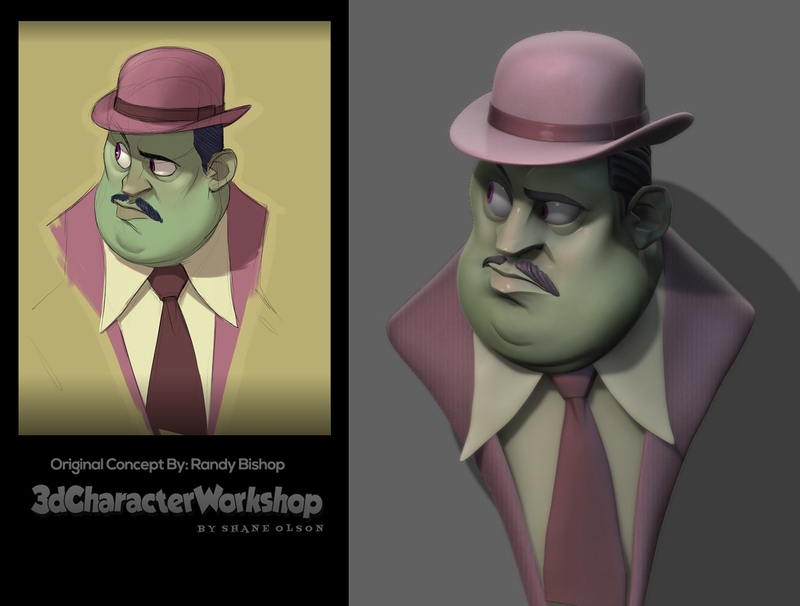 The lighting, background, and texturing all serve to tie the model back to the original concept really well." Tyler "Awesome work! I really like the warm and cool contrast to the lighting and rim lighting you set up as well as the textural quality and detail of the clothing that really helps sell the model. It definitely grabbed my attention and reads well at a distance too. I think you really got the shapes of the face and the clothing working very nicely and he comes across very appealing and matches the concept well! My only critique would be to add a little more brightness to the eyes to help them pop out from the shadow of the hat and to define the shapes of the clumps of the beard a bit more. Overall great job!" Sook Yeon "It looks amazing! Very nice color and mood with a strong silhouette. I really love the treatment of form on the mustache and beard. General detail is really nicely done. Awesome job, everything seems so great. All I would say to improve is focusing on a few small details in the design. Notice things like the angles in the eye bags and the added fold on the hat band. " 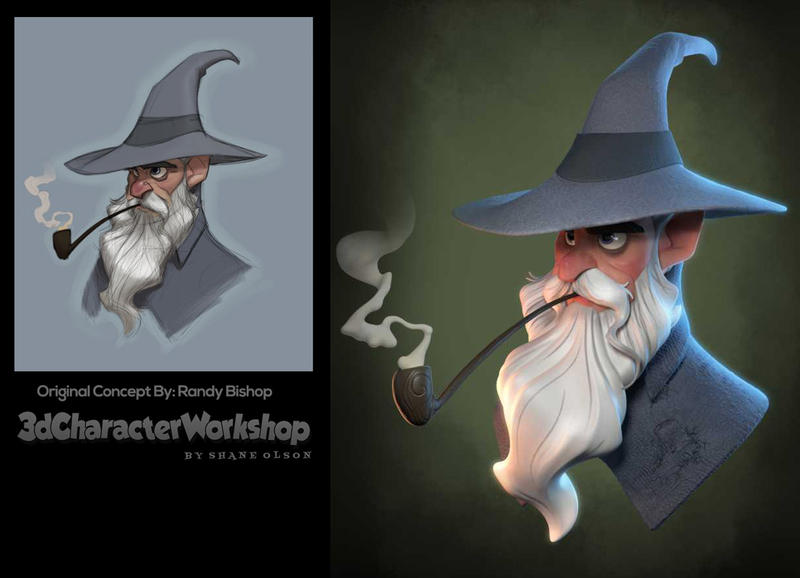 Brice "I really enjoyed the Gandalf Sculpt too, but the final composting feels to grungy/ dirty because of the dark and noisy smoke around the character. 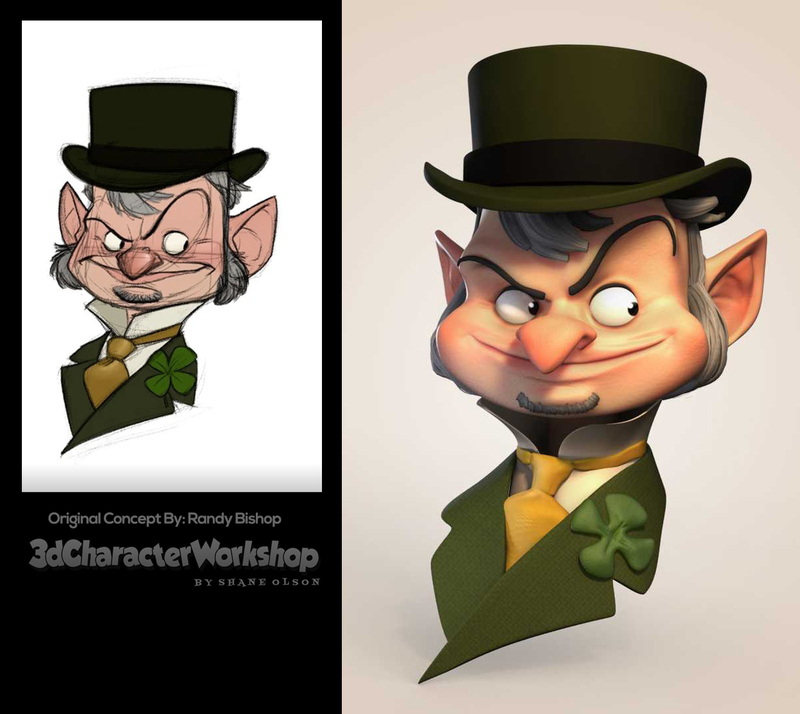 Whichever concept art or concept artist you are choosing, make sure to understand why you think the concept is appealing to you and make sure to reproduce this appeal in your final 3D render." Tyler "Great job! 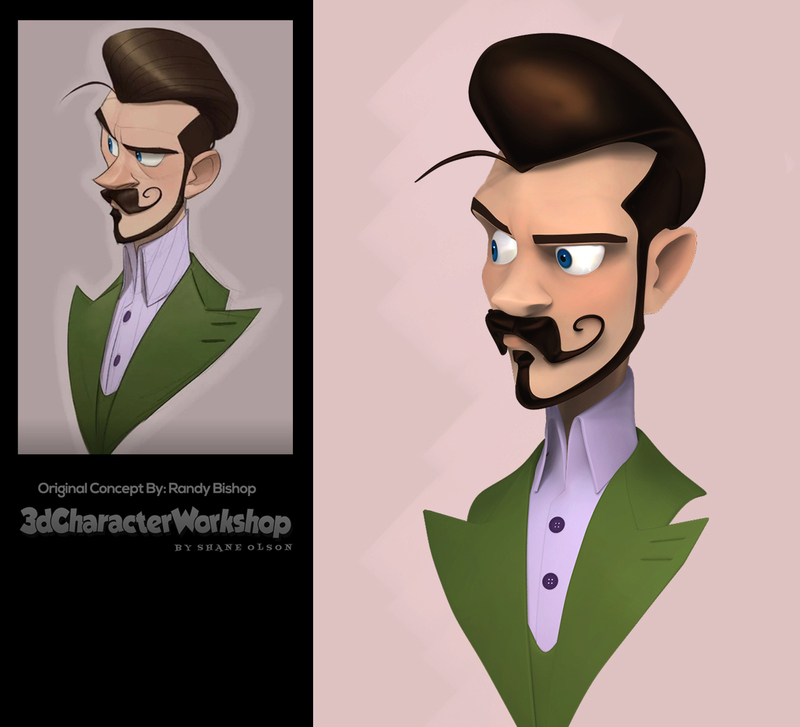 I think you really got the character and expression across on this one and all the shapes ready very well and work together for a very appealing character. I especially like the eyes and detail on her dress. 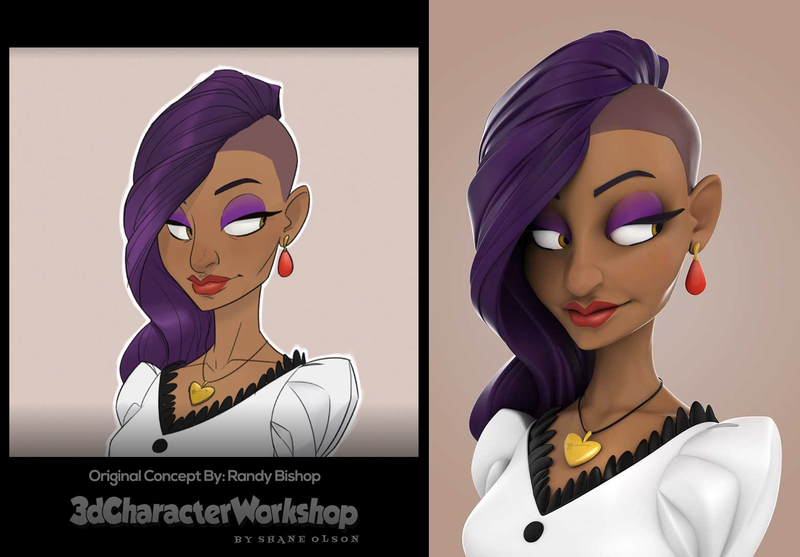 My critiques would be to add more breakup in the shapes of her hair to get more variety of thick and thin shapes. I would also revisit the corners of her eyes. Even though you did match it to how the concept looks I would round those out to create more of a corner shape to the eyes instead of the eye just running into the bridge of the nose." 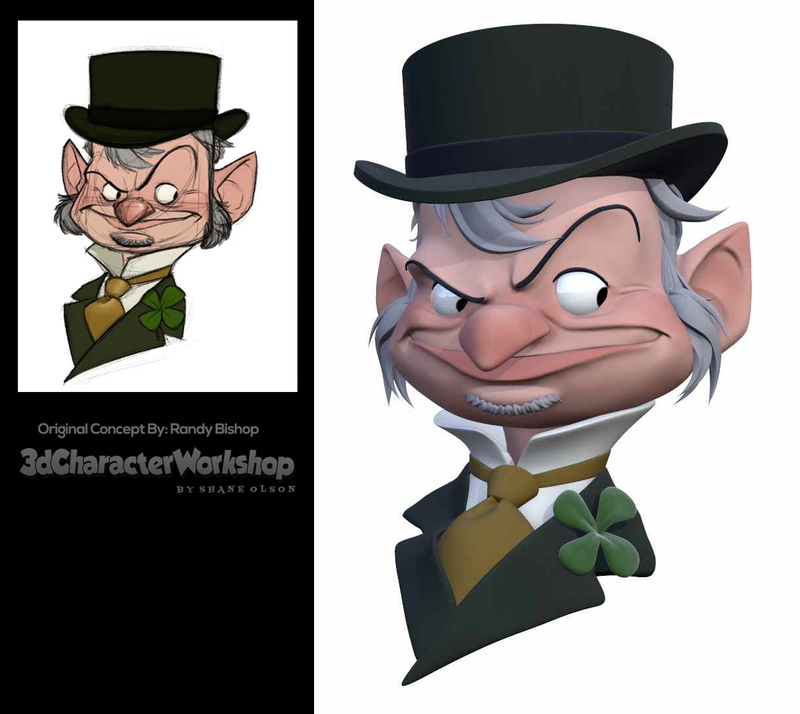 Leslie "Good presentation and even though it captures the overall feel of the character the shapes don`t match the original that well. " Sook Yeon "The design has some wonderful thick and thin going on in their shapes that you could try to play up some more. And try to accentuate the asymmetry in the hair/head. Her right eyebrow could come further towards the center of the face just every so slightly. But, the design has a great attractive quality in the face that you have translated very well. 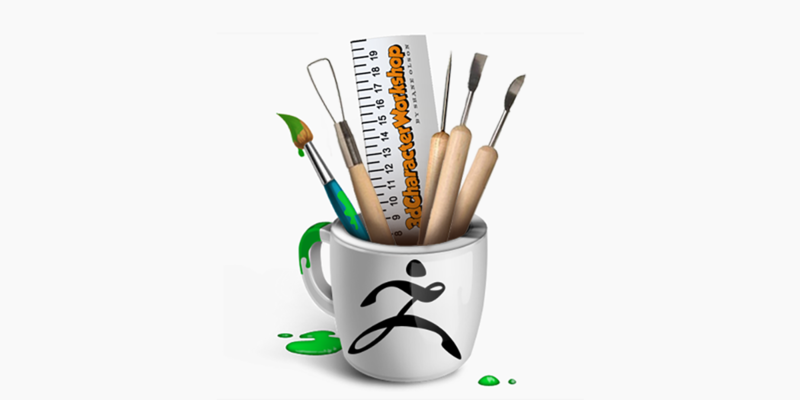 A challenging design and you handled it very well!" 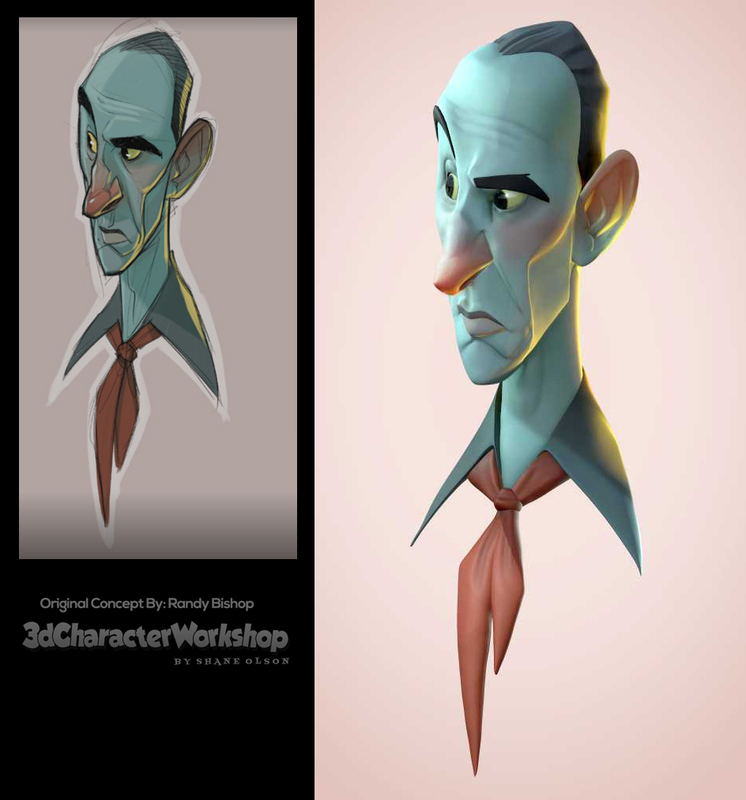 Brice "The 3D Character looks bright and fresh. Very appealing. The overall looks more rounded than the 2D concept. You lost some appeal there. For example, the chin is more pointy on the concept. The hair has a stronger silhouette on the concept. Still, the 3D work is great. Good job! First Place with a landslide 22 Judge Points is Kenny Quach. Congratulations Kenny! Randy "This is probably my favorite of the submissions. Everything about it makes me happy! The colors, forms, and lighting are all on-point. Very well done." Tyler "Awesome job! I really like this piece and the overall punchy vibrant colors and planar lines you achieved. It reads very well at a distance and up close and absolutely captures the likeness of the concept! I think he has a lot of great things going on that give him a lot of appeal including the nice sharpness of the planar shapes in the face and the thick to thin shapes and contrast of big to small shapes like in his top and bottom lips. My only critique for this guy would be to shorten the length of his eyebrows a little bit as they seem to extend quite far as well as adding in some button holes to the lapels of his jacket and smoothing out the inside of his ear a bit. Nice Work!" Leslie "Great sculpt, looks like it matches the concept very closely. Some of the overlapping transitions and inner shapes could have been pushed... like the angularity of the chin and the transition of jaw into jowel. The presentation could have gotten some more pushed lighting too. Even though it matches the concept it flattens the look." 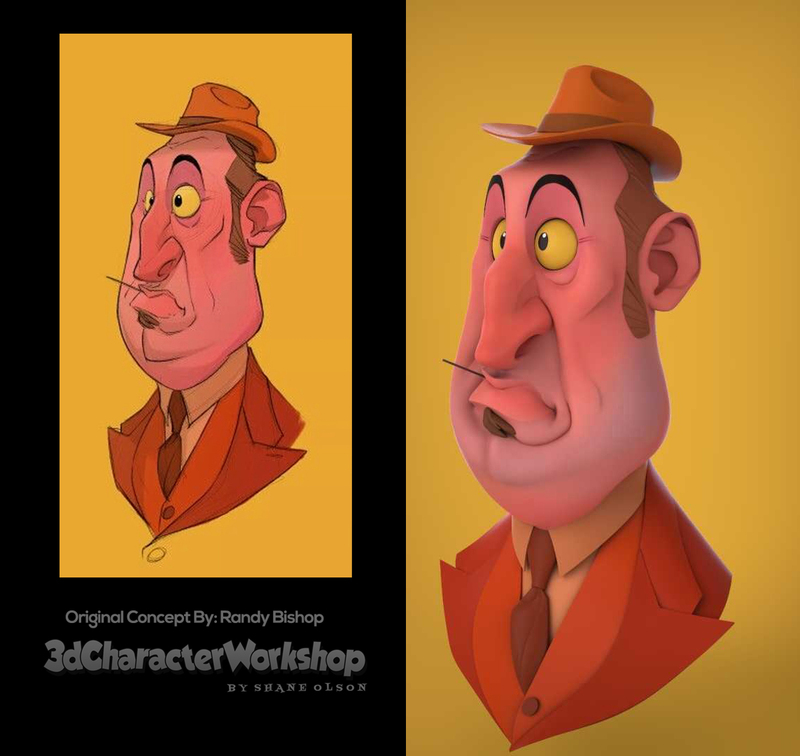 Brice "The 3D work is really good. Very close to the concept and has a good silhouette. It's a very good work. Good job." Sook Yoen "This is really well done overall, capturing the nuances from the design. I only have a few small suggestions. The eyelid shape has some very subtle angle changes you could add in. The form of the chin could be emphasized more as it turns away from us, both to the side and along the bottom. It's a bit too soft as a drawn on wrinkle currently. While the wrinkle under his lower lip is a bit too strong and consistent. Think of having that form vary in tightness, similar to thick and thin of an inked line. There are very subtle angle changes in that line as well in the design, rather than the smooth curve you created." Here are more of the entries in no particular order (I didn't include them all, there were too many). I also added judge comments. Thank you ALL for participating. This was so much fun! Tyler " Great piece! I love the overall presentation and the contrast you've been able to get with the rim lighting to really make him pop. 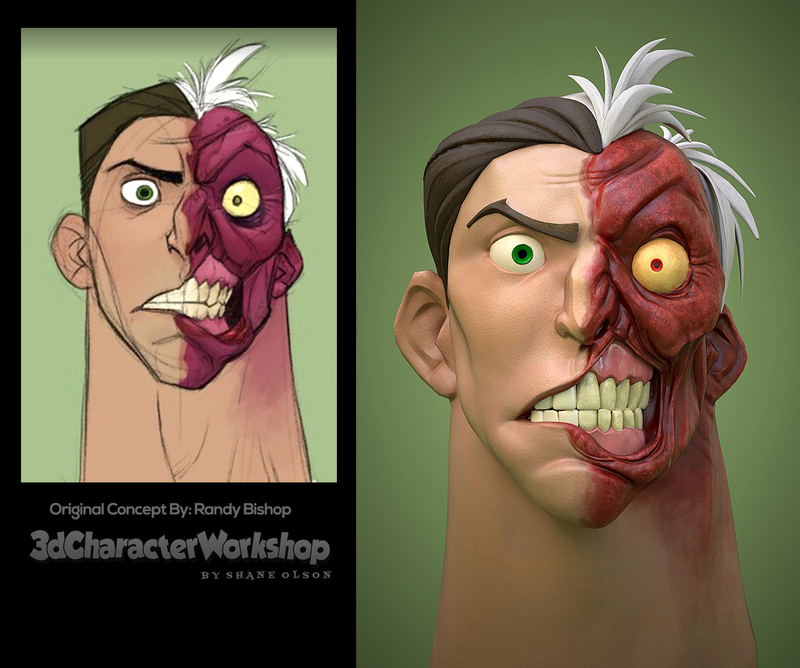 The planar shapes of the face read very well and really match the concept. I especially like his expression and the asymmetry of his eyes and brows. 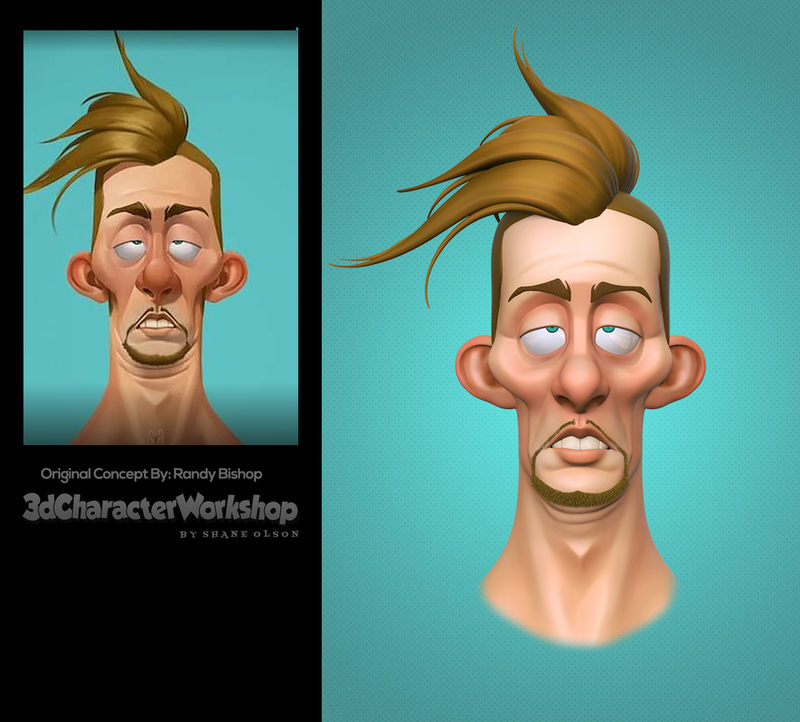 My critique for this guy would be to revisit the shapes of the forehead and brows a bit to define them a little better. I think his right eye (screen left eye) could use a little love as well. Currently, his eyelid on that eye looks a bit thin and pushed back and the pupil looks as if he's looking a bit more upward on that eye. Overall great job and very well presented!" Leslie "Great shapes and translation of the concept. some surfaces like the eye to cheek transition might be a bit too soft." Tyler "Nice work! 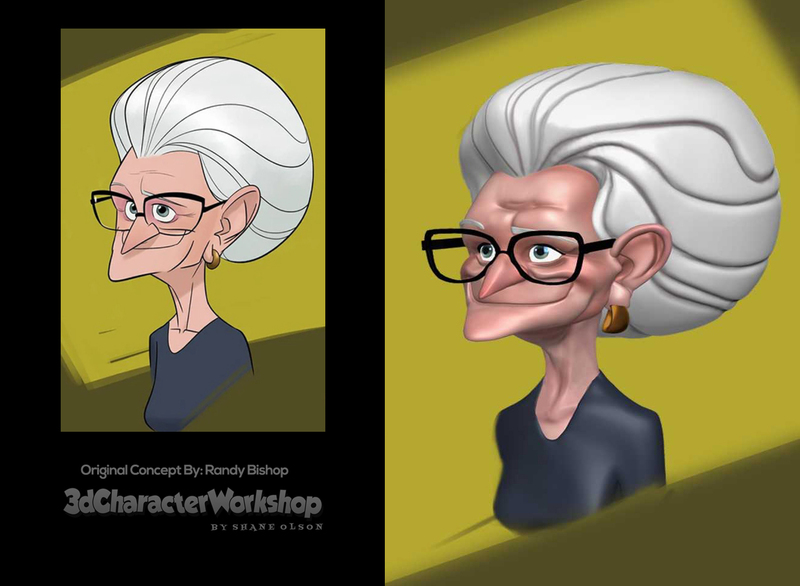 I think you were able to go above and beyond and make the 3d version of this character even more appealing than the drawing! Love the facial shapes and the detail you've added into the hair and the clothing. I think the overall presentation with the lighting and the glow of his skin is very nice as well. My critiques for this piece would be to define his eyelids more even if they are thin they are currently hard to see. I would also add a little more love into the clothing and add some button holes to the lapels and better shapes to the tie and the four leaf clover. 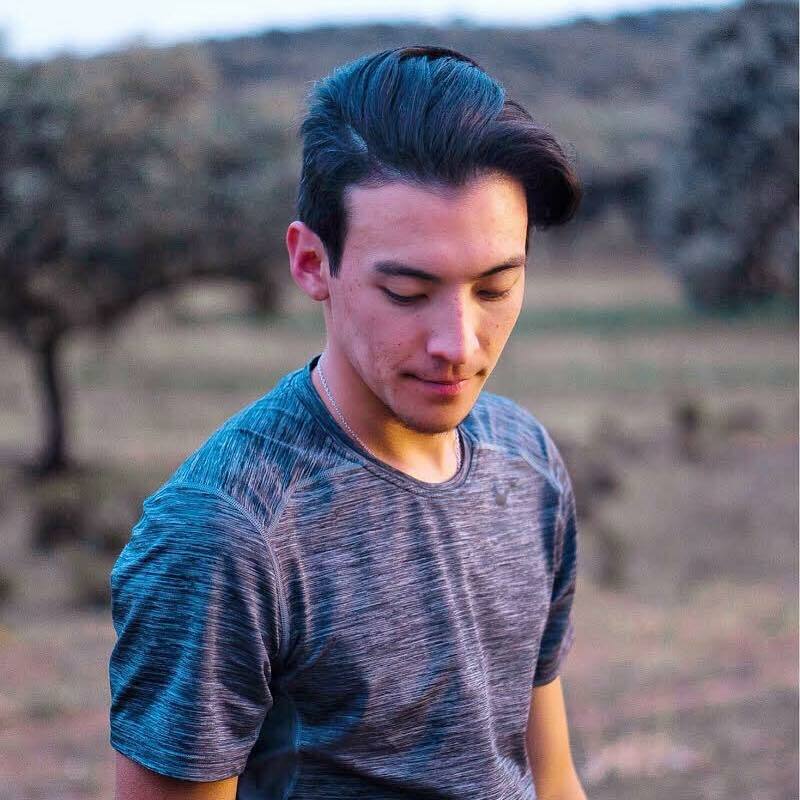 I think you could also add a bit of sharpness back into the tips of the hair as they look like they've all been slightly chopped off right now." Brice "This on got my attention first. The overall looks very close from the concept. Even the lighting. There is still difference but it looks appealing. 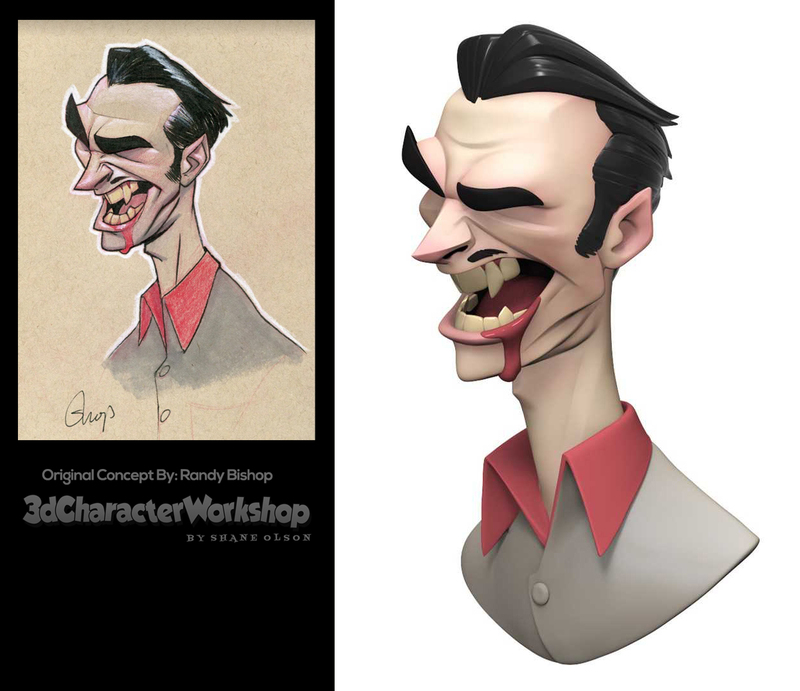 I would love to see sharper and cleaner lines, especially around the mouth because this is the feeling I’m getting from the concept Art. The eyes area looks really similar which is really good obviously. I Would also love to see more simplified and stronger silhouette. 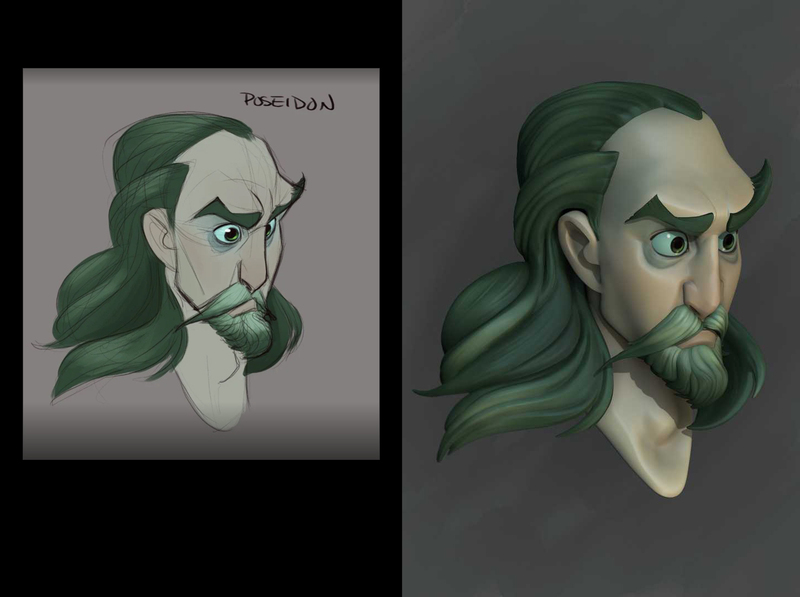 For example, the cheek on the left and the hair on the left have a more clear and simple shapes on the concept. 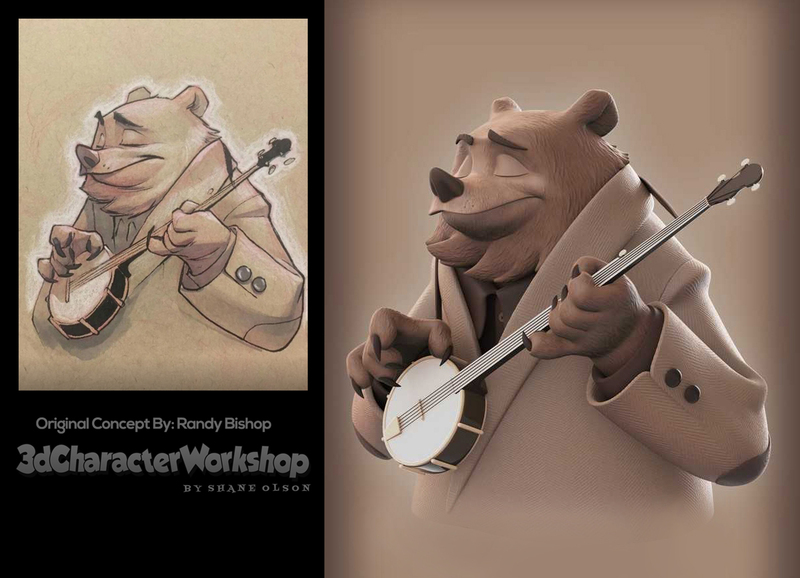 Randy Bishop Concept are great because they have beautiful and simple shapes, good volumes and interesting expression. Those are then the things you don’t want to miss when you are turning one of his concept into 3D." Randy "I really like that this model has its own appeal. It’s completely different stylistically, and I quite like that about it, despite the fact that it separates itself from the concept quite a bit." 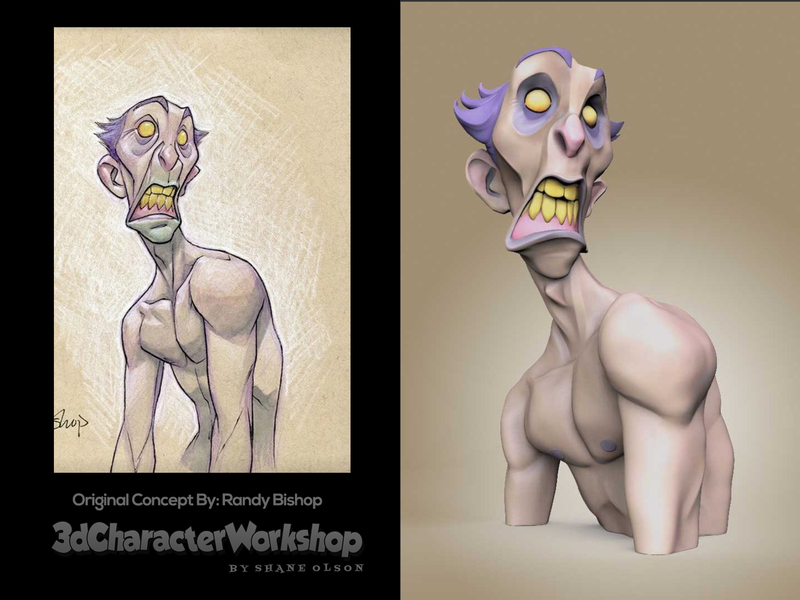 Randy "This model captures the concept exceptionally well, even the parts of the sketch that may have been a little wonky in terms of actual anatomy. 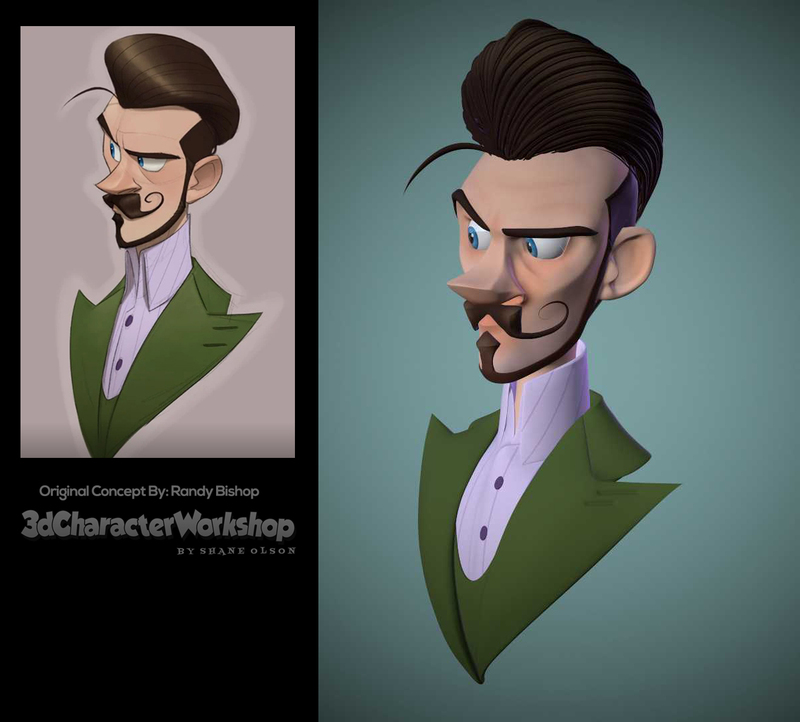 I think that’s an important skill to have, particularly if the modeler is planning on going into 3D illustration. " Leslie "Facial expression was captured really well. some of the planes look too blobby and especially the hair feels like it could have used more angularity. The presentation is a bit poor too." Sook Yeon "Nicely done! 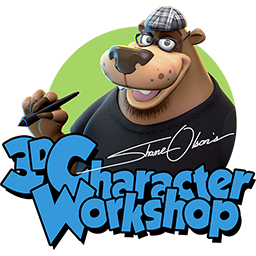 You've caught the overall structure of the character as well as the strong curves in the silhouette. Try to introduce some of the angle changes in the neck rather than the simplified overall curve you have. You may have to play up the lower eyelid just a bit more as the eye doesn't seem to sit naturally into that cheek just yet. A very subtle and tricky area to get right. Also, the form of the lip could feel more tightly closed. The gradient going into shadow makes it feel like the lip is nearly opening right now." Sook Yeon "Nice Job~ I really like how you handled the structure in their faces and how you created a sense of line through plane changes in the hair. You did a wonderful job at capturing the details of the face. My only concern was in maintaining the clean flow line in the shape of Hermione's head. There is a consistency in the curvature of the design that is nice whereas you introduced an angle change at the chin. It's a small change that makes a big difference. 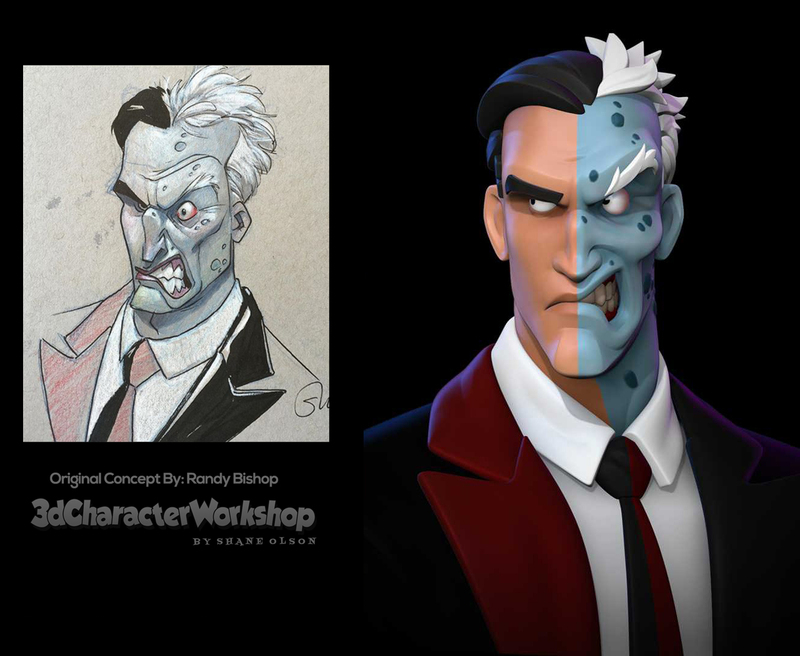 Just a separate presentation note, putting in some of the color changes in the skin could really make the piece sing without any changes to the form." Tyler "Amazing work! I absolutely love the presentation and it grabbed my attention right away at a distance. I think you really nailed the character and the expression. Well done! My only critiques would be that I would have liked to have seen more of his body. I think if you were to have done his full torso and hand like the concept it would make for an even stronger overall image and a stronger pose. It would be great to see him with some stubble on his chin as well as hair for the brows to match the groom you did for his hair and beard. 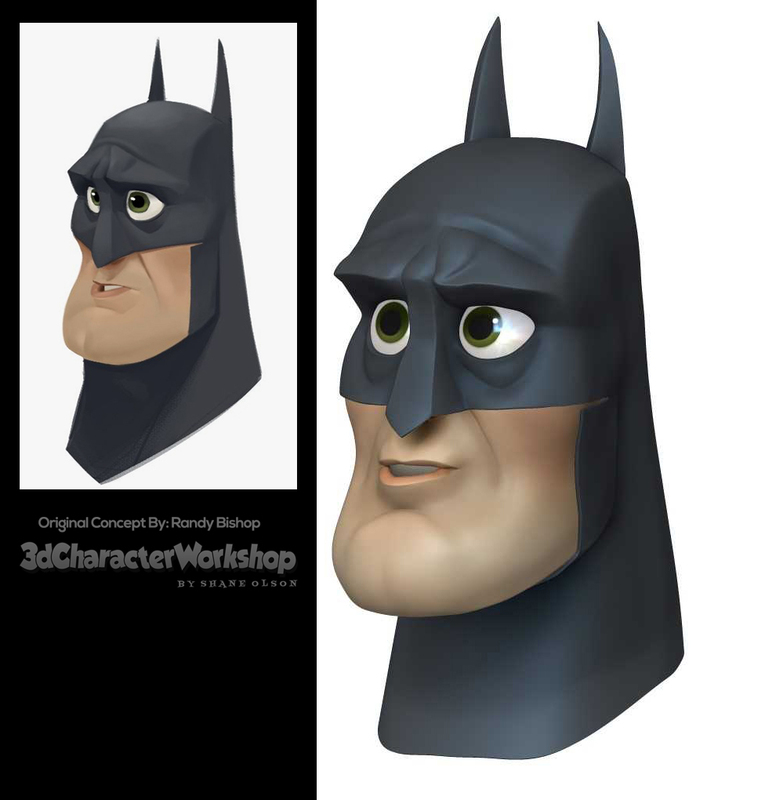 I think you could also break up the specularity on his materials and define the lips a little more, but overall great job!"